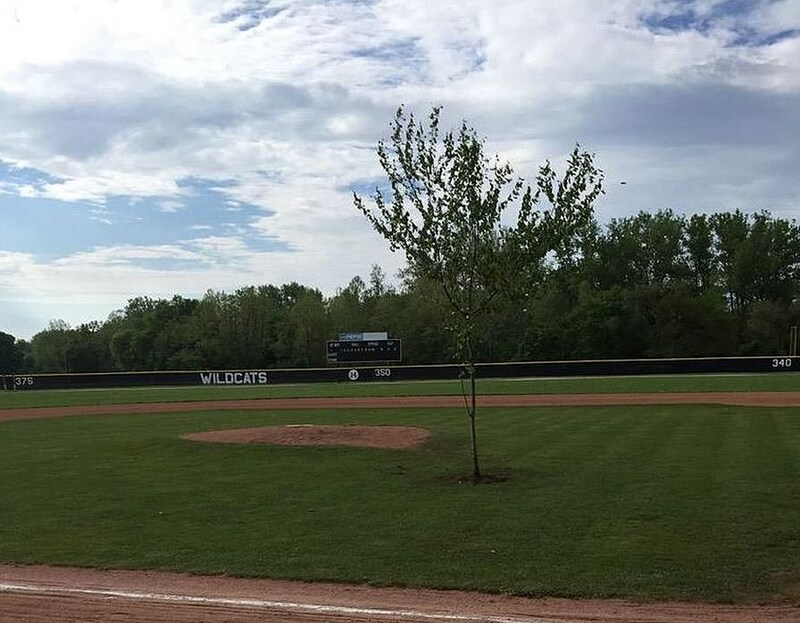 School officials in Franklin, Ohio are on the lookout for the pranksters responsible for planting a 25-foot tree on the baseball field, between the pitchers mound and home plate. The tree appeared on the field sometime Friday night or Saturday morning before a doubleheader for boys baseball. The parks department was able to remove the tree before the games. Michael Sander, Franklin School District Superintendent, said Tuesday the school administration is working to try and figure out who was behind the prank. “I understand senior pranks,” he said, but vandalism or criminal damaging cannot be condoned or tolerated. Sander said the city paid for the removal of the tree and repair of the section of the field between the mound and home plate. “If we can find out who did it, they’ll get the bill,” he said. Franklin High School seniors claim that it wasn't a class prank because they are planning something for later in the week.